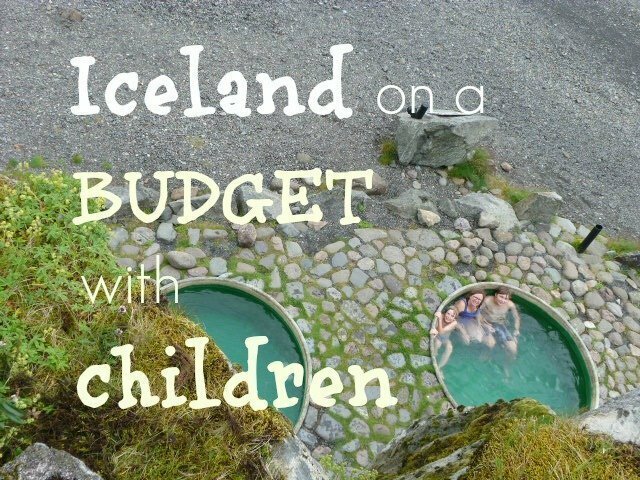 Iceland is notorious as an expensive destination and probably doesn’t spring to mind as a place to go with children, but it’s totally possible and heaps of fun for families, if you follow my Top Tips for a family holiday in Iceland on a budget. I spent 2 weeks in Iceland in the summer of 2014 with my husband and 2 children (aged 9 and 14) and didn’t spend a fortune, and yet we had the best holiday in a long time. This is how we did it. The number one expense in pretty much any holiday is accommodation and in Iceland the prices for hotel rooms are crazy. So here’s my first and most important tip: HOUSE SWAP. We swapped our house with a family in Reykjavik with similar aged children. The result was no accommodation costs, plenty of room, a properly equipped kitchen for self-catering, outdoor space (balcony with barbeque and garden with trampoline), bikes, toys, video games, DVDs etc and camping equipment (more on this later). But this was not all, we also swapped cars, so no car rental costs either (a hugely significant saving in Iceland where rental prices are also crazily high.) An added bonus to house swapping is the insight you get into the host’s culture. You get to see the inside of a local home, its style, what groceries are in the larder, the books on the shelves etc. It adds another depth to the travel experience. And if you are lucky like we were, the host leaves you useful insider tips as to where to shop, eat, visit etc. There are plenty of House Swap websites on the internet where you can list your own home for a small fee. I can’t recommend it more highly for enabling travel to an expensive country. GO IT ALONE! Many of the excursions proposed by travel companies are easily doable on your own in your own car. Iceland is a country of natural wonders nearly all of which are free to visit, so get out there and explore. 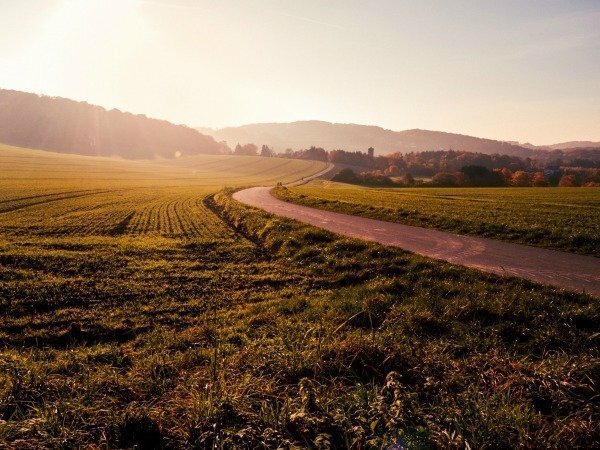 You won’t be able to see everything the country has to offer if you’re on a tight budget but by doing cleverly planned and extensive day trips you’ll be able to get a very good feel for the country. Do plenty of research before your trip, read guide books, travelogues and blogs about Iceland and have an idea of what you want to see. Equip yourself with a good quality map of the country. Then browse the travel agencies in downtown Reykjavik to see what sort of places they propose to take you to, and go it alone. Clearly there are some activities you can’t do without a guide and would be foolish to attempt to. Bear in mind in summer it doesn’t really get dark so you have plenty of time to go far afield in one day, bringing you back to your free house swap in the (late) evening. 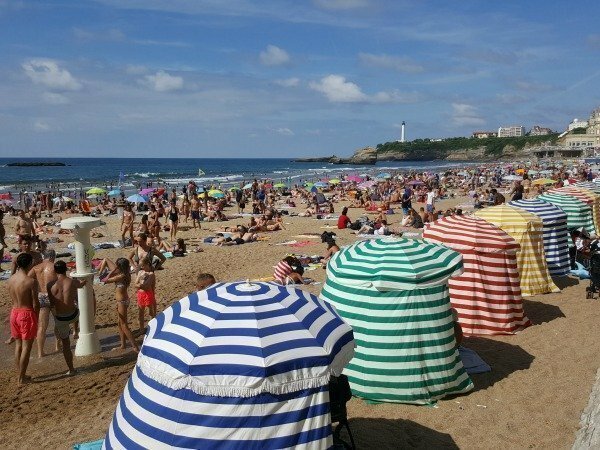 You can time your visit to suit your family rather than the tour company’s schedule with the possible benefit of avoiding the biggest crowds at the most popular spots. Make the most of FREE STUFF! Don’t get hung up on not being able to afford the mega-jeep safaris or heli-skiing in the interior. I promise you the natural wonders will awe and inspire you and your children. Here are some of the places we went to and things we did for free: the famous and glorious Golden Circle (Geysir, Gullfoss and Thingvellir), Krysuvik and Gunnuhver geothermal areas in the Rekjanes peninsular, watching the sunset at midnight from the Seltjarnarnes lighthouse, driving through endless spooky otherwordly lava fields, hiking to the Reykjadalur hot river and soaking in it, looking for puffins. We loved the many varied waterfalls along the south coast, driving in a straight line for kilometres on end over the the vast open gravel plains and swimming in a naturally heated outdoor swimming pool surrounded by mountains and ash from the Eyjafjallajökull volcano! Lazing in an isolated hot pot next to a glacier will be a memory I’ll have for the rest of my life and we adored the absurdity of a heated beach in Reykjavik itself – though it didn’t seem to be working the time my son swam in 11°c water! The long rectangular hot tub was perfect however and together with hot showers and a sauna the whole complex is completely free. This is just a taster of a list, we went to many more places and never failed to be impressed by the sheer exhuberance of Iceland’s natural beauty. Don’t forget to walk everywhere in Reykjavik, it’s a very walkable city, even in the rain. GO SWIMMING! Yes you read right – go swimming! It might not be what springs to mind when you think of Iceland but I urge you to pack your swimming costume and make the most of the fabulous variety of cheap municipal pools and other swimming/soaking spots such as natural hot rivers and hot pots dotted around the country. Every town and almost every tiny isolated community has a naturally heated geothermal pool which for a very small fee you can enjoy for an unlimited length of time. Going to the local pool is a very popular passtime in Iceland; many have slides and basketball hoops and all have the wonderful hot pots. It was one of our favourite things to do and we tried out many different ones. Shop in DISCOUNT SUPERMARKETS. If you are self-catering then you save a deal of money by buying your groceries in Bonus, a chain of shops found across the country. This was one of the usefull little tips left for us by the family whose house we stayed in. We compared prices and products with the high-end chain Hagkaup and found almost all the brands were the same, just signifcantly cheaper in Bonus. Shop wisely too. By eating local lamb and fish rather than imported beef you reduce costs. Buy locally produced vegetables and stay away from exotic foreign imports. By being selective and careful we found that food wasn’t so very expensive and often comparable with our (admittedly fairly pricey) part of France. Don’t forget to get tax back on any goods you buy too, it’s defintely worth it. Accept that you won’t eat out much, and that you’ll become good friends with the delicious Icelandic HOT DOG. We made plenty of picnics for daytrips and in two weeks we had 2 meals in restaurants, one afternoon tea in a café and lots of hot dogs. We also had one adult night out on the town and a meal with Icelandic friends at their house. This may not seem much compared with holidays in traditionally cheap places like the Balkans, Spain, Turkey and particularly Asia, but you’re not there, you’re in Iceland! Along with accommodation and car hire, eating out is almost prohibitively expensive for a family for two weeks. However, we found that a meal in the fun family-oriented hamburger joint, Hamborgarafabrikkan, wasn’t too pricey, infact the orange juice was cheaper than in France! And by buying a big jug of beer (which worked out at a couple of pints each) right from the start, it was perfectly reasonably priced. Icelandic hot dogs contain lamb and have a unique, and delicious, taste when combined with “everything” (remoulade, mustard and 2 types of onion, crispy fried and fresh). They are properly cheap and available at every petrol station when touring the country. Buy your favourite tipple at the DUTY FREE ON ARRIVAL at the airport. The prices are significantly cheaper than in the state-owned liqour stores and the allowances are reasonably generous. We were able to buy almost enough wine and beer for the whole of our 2 week stay upon arrival. OK we looked like complete alcoholics coming through the airport with a trolly laden with booze to be met by the keyholders of the house we were staying in, but we didn’t care! As for a night on the town, choose places that are having HAPPY HOURS and drink in HOSTELS where some decent prices can be found. 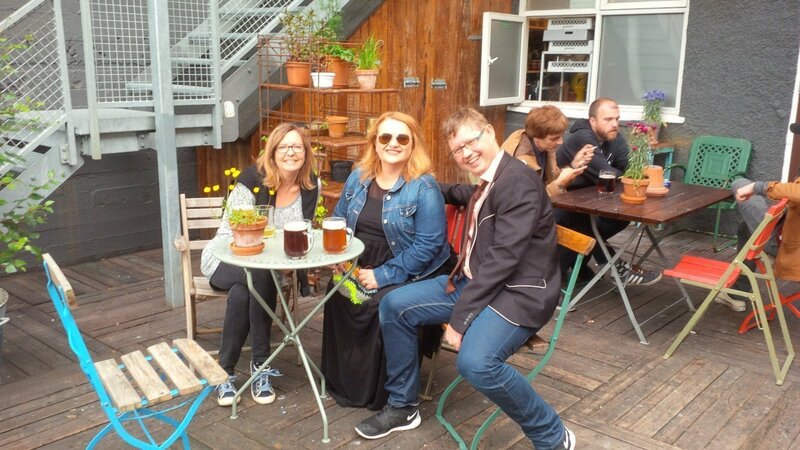 We loved the Kex Hostel which had an outside deck and cool bar. Finally we wanted to see parts of the island that couldn’t comfortably be visited in a day from Reykjavik so we camped for a few days in a National Park campsite: another benefit of house swapping as our hosts lent us all their camping gear: tent, mattresses, sleeping bags, stove, etc. We couldn’t have done it if we’d had to hire the equipment as, you guessed it, it’s expensive. To CAMP by a glacier when it doesn’t get dark all night was something very special and if you do go for a house swap experience, ask your hosts if they have camping gear that you can borrow (it’s pretty likely they will have as surprisingly camping is very popular in this country). Camping in Iceland was a huge hit with our boys, even in the pouring rain, it just made it more adventurous! I hope I’ve convinced you that Iceland can be visited with children and on a reasonable budget. It’s such a unique and wonderful place that needs to be experienced at least once in a lifetime. If you’re planning a trip to Iceland you may be interested to see all the posts I’ve written about this amazing country. Have you been or is it on your bucket list? If you liked this, why not PIN it! We use homeexchange.com It’s the biggest and has suited us well but there are plenty of others which I hear good things about. Fantastic tips thank you! I had no idea Iceland was expensive I’ve just been researching but this looks so fun. What house swapping service did you use? I live in an ideal location a good approximation to NYC and DC right in the middle so I think we have a house that is swap worthy. 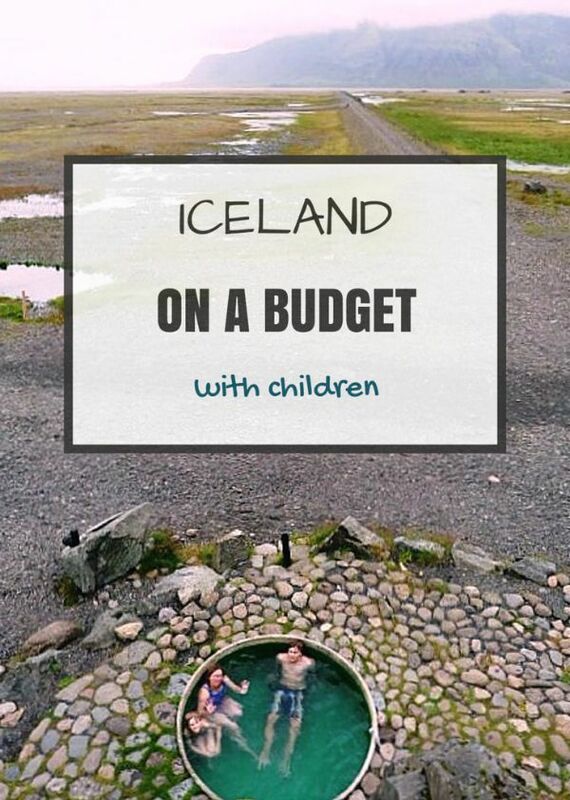 I always thought it would be out of budget for my family but now I’m beginning to have hope I can take my kids Iceland one day soon. Thanks for suggesting your tips. 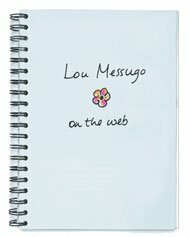 We use homeexchange.com and we’ve been happy with it. I will go to iceland this august for 7 days and very inspired by your writing because we are on budget too..Can i ask you what trusted website that you use for house swapping?Thank you.. YOUR TIPS WERE VERY HELPFUL!! THANK YOU!! house swapping s the n°1 way to save on a trip to Iceland I reckon; I hope you do look into it as it takes some time to set up. The one thing that makes Icelandic hotdogs unique is they contain lamb so the taste is different but yes, they have similar toppings all over Scandinavia I believe. It really is a “best holiday ever” type of place isn’t it? And such a great name for your blog…genius! You don’t have to have a family to house swap, singles and couples can do it too, in fact it’s probably easier to find a place for 1 or 2 than 4! House swapping is really the most amazing way to travel! Go for it Clare. It’s a genius way of making a holiday cheap! Oh yes, the almighty hot dog, thank goodness for Icelandic hotdogs!! Oh this takes me back! We had a fortnight in Iceland in 2007 when our son was 11. Best holiday ever and was what started me blogging (Mum’s gone to Iceland!) We bought a package holiday where accommodation and some activities were set up for us along the way so it was a bit of a splurge holiday and this was even before the bank crash. We loved just having our hire car and travelling the whole of the island during those two weeks. Fantastic country. I’m glad it’s of use Wandermust Mummy. Hi!! this is a great post and we have been wanting to have something similar on our website but of course we want the points to save up should come from people who have really travelled there. I would like to use your point on House swap on our article. Of course i will give you the credits for it and so we both can earn some backlinks. Let me know if you are open to this idea and contact me on my e-mail. Nice thoughts on the house swap! I’ll check out your other posts about Iceland – but did you travel around much or tend to stay around the large cities? Which house-swapping site did you use? hey Ashley, I’m pleased you’re finding my Icelandic post useful! So useful! Now I’m interested in the hot dogs- normally something I would never indulge in. I’m a bit of a supermarket snob so it’s great to know that they have the same products/brands in the low budget supermarkets as the more expensive chain. That’s great you found this useful and might get to go to Iceland now. I’m also interested to hear you found me through Pinterest which seems to love Iceland pins! Ha ha, no Marie I hadn’t realised I’d used a photo of dog food!! Now that you point it out I guess I could have guessed from “hund” but it never occurred to me that Icelandic dogs would also eat hardfisk!!! That’s funny! Don’t worry, we didn’t eat the dog food, I just took a photo of it in a market. You say Icelandic vegetables are more expensive than imported ones and I’m sure you’re right but I promise you when we were there and shopping I was amazed to find that local ones were cheaper. Perhaps it was just a particular time but I really did pay attention to prices which is why I bought local veg and suggested it here. It doesn’t surprise me though to hear that in general they are more expensive. So you’re right, the most important thing is to check labels very carefully. Thanks for your input. This is very useful,I found you through Pinterest when dreaming about a trip to Iceland. I always thought it would be out of budget for my family but now I’m beginning to have hope I can take my kids there one day soon. Thank you for suggesting theses tips! You do realise that the photo that you posted to illustrate ‘Shop Wisely’ is a photo of dog treats, right? I was wondering what could be that cheap- only 150kr…and then I read the label – ‘hundannami’- dog treats! Lol! ( I live here in Iceland) I would only like to add that Icelandic grown vegetables such as tomatoes and carrots for example are much more expensive than the imported ones, (usually from Spain or Holland) and I have to say that the cherry tomatoes from Spain are much more tasty than the locally grown tomatoes, sorry to say. Icelandic vegetables are often twice as expensive as imported ones, so check prices first! Otherwise great post! I got cheap flights from UK too but I can promise you it really is a very expensive country if you’re not careful and especially if you are a whole family. 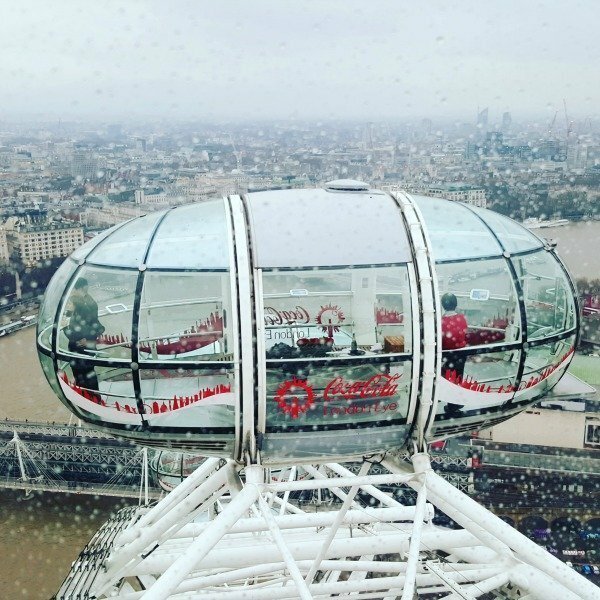 Accommodation, car rental, entertainment and tourist activities are very expensive, over all a lot more than UK but as I say here there are ways to make it affordable. It’s funny, because being from the UK, Iceland doesn’t seem all that expensive. When I’ve looked at hotel prices there, it doesn’t really appear to be that much. Granted, I’ve only looked for a short break, so if you’re booking for two weeks it may be extortionate! But then again, that’s with cheap flights as well (less than $150 return from Manchester, England), so that makes it seem even better! I liked your idea about house and car swap. I am planning a San Francisco Vacation Trip but I was worried about the accomodation rents in SF. Looking forward to implement this idea on my vacation. Fantastic post! So many people are put off Iceland by how expensive it is, but this really goes to show that you can cut corners! Iceland is definitely in our bucket list, but the prices were scaring us. This year we went to Costa Rica, but maybe next year or the next Iceland. Get your place listed on a house swap site Amanda and get planning! We really want to go back. Amazing tips – Iceland is on my list and we looked at possibilities for this year and back peddled when we got to costs. It would never have crossed my mind to do a house swap – brilliant idea! Happy you liked this Emma and I hope you get to Iceland when the bump is a little person! I find tours very restrictive too as I love to be able to stop where and when I want. Wow, wow, wow. What an amazing post. I have always wanted to go to Iceland and yes I’ve been put off by the expense once you’re there but your tips are fabulous and do show there are ways around the money nightmare. I love that you camped too, such a great idea. Sorry Marcia, I don’t know how this escaped me. I think the prices are so high because almost everything has to be imported. The only properly cheap thing is hot water (plenty of almost free geothermally heated water) which makes swimming outdoors even in the snow and heating houses very cheap! We use Homeexchange.com I think it’s the biggest, but whether it is or not we’ve been happy with it and have several friends who use it too. Thanks for your lovely comment. What a brilliant post! I’m just in the process of arranging our Icelandic holiday. A lot of what you mention is in line with the way I was hoping to travel. I never thought of house swapping though- excellent idea! Which company did you use to arrange the house swap through? Iceland is very high on my list of places to go – I’ll have to remember the pools and hot dogs! Great tips, Pheobe. I especially liked the one about buying liquor in duty free. I’ve read several posts on Iceland but I don’t remember anyone talking about the prices. Do you know why prices are so high? Don’t be paranoid, what are you worried about? The people in your home or you in theirs? I think the fact that you’re both in each other’s space makes everyone extra considerate and not have the “I’m in a hotel I’ll do what I want” mentality. I don’t think there’s cause to be paranoid. Apartments are good of course (I run one after all!!!) but swapping is a great alternative. If you don’t give it a go you’ll never know Michele! I’m sure there are plenty of interesting things to visit based in your house but I probably wouldn’t highlight the “traffic-clogged, nondescript” bit! That made me laugh! I’ve never housesat, I don’t suppose it’s something for families, and you’re right Jan, we’ll never forget this holiday. It was a lovely place to stay, very stylish and light. 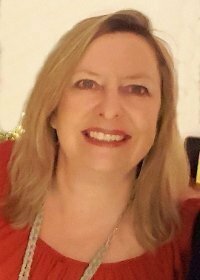 You made me chuckle Nancie, I reckon Iceland would be a great place as a solo traveller too as not only is it very safe but the Icelanders are so friendly, welcoming and easy going taht you wouldn’t be solo for long! We only had a taste of Iceland for a few days as a stopover and would go back in a heartbeat for a week or two. These are all such great and useful tips. We loved shopping at Bonus and did eat a lot of hot dogs 😉 You’re so right, Iceland really does need to be experienced in person. It’s one of our favorite countries. I’m too paranoid to do a house swap but we did rent an apartment which saved us some money too. Iceland seems to be popping up a lot as a vacation destination. 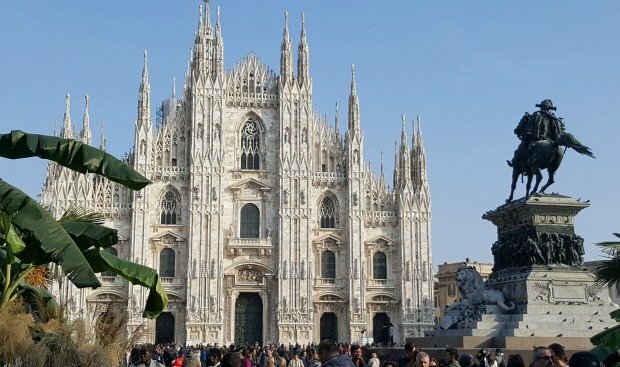 But as many posts as I’ve read about it, this is the first one that makes it sound like an attainable vacation destination, not just a few days layover on the way from America to Europe. 2 weeks! That’s great. I also assumed that it would be really expensive, so all these tips are very welcome. I am wondering how much interest there would be in my house for a Houseswap since it’s neither close to the cool part of Austin nor sufficiently far enough to make it a country retreat. I’m just in a vast swath of traffic-clogged, nondescript, suburban America. Great tips! That apartment looks amazing. Thanks for including me in your round-up Rosemary. I think it was probably you who got me interested in the idea of house swapping originally, so thanks for that too! How wonderful, great to have you here Diana. Yes you’re right, a lot of these tips apply anywhere, but swimming in hot rivers and eating Icelandic hot dogs and shopping in Bonus can only apply to Iceland! It’s such a great way to have a holiday, you should give it a go. Yes we had great hosts and they made our trip extra special. I think they had a pretty good time at our house too. You should try and get there; it’s amazing! We were surprsed that it didn’t break the bank…and very pleased! Thanks Tina, Iceland is a great place to take kids. I heartily agree about the advantages to be had in house swapping, whatever the country, but it sounds likes it’s a must in Iceland. We really appreciated having a car included in Australia because of the very high waiver. I’m including your post in this week’s Blogger Round-Up. I’m sure your tips will be very helpful to travellers with children in particular. Great post. Helpful tips. I’ve never thought of house-swapping before! Great tips – Iceland seems like it would be an awesome place to take kids. These are very useful tips. You obviously benefitted from your “hosts'” generosity with camping gear etc. Presumably you were equally generous reciprocally, but in some different ways? Great post!! I’m always looking for tips on budget travel with children! These are some great ideas! !